I have just received another award by Madeline from *Cappuccino and fashion*. Check out her blog if you haven't already, cause she has some great outfit ideas! And I wanna thank her once more for all the support! Hi dear, you made my day! Thank you so much for awarding me! I'll prepair a post! 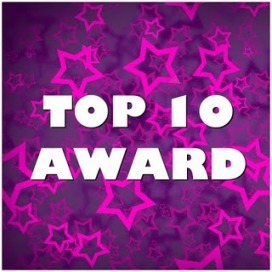 Thanks so much for awarding my blog! I am so so happy! I've been away for a while now, but I'll be coming up with a post pretty soon! Thank you so much for the award! It's such an honor! Congratulations on your award doll you truly deserved it. Thank you so so so much that you gave it to me too :) I will have to creat a page with these awards that I am getting now. Exciting. I will do this soon. Ive just have a very busy week. Hello there! I took a long time far from my blog, but now I'm back and my first post was about you rblog and this award, I hope you like!